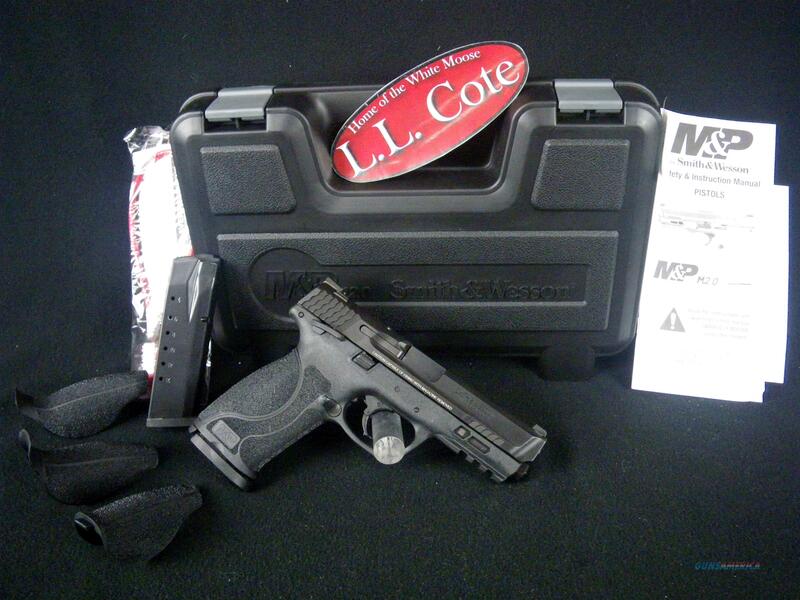 Description: You are bidding on a Smith & Wesson M&P40 M2.0 in 40 S&W with a 4.25" barrel. The M&P M2.0 pistol, the newest innovation to the respected M&P polymer pistol line. Designed for personal, sporting, and professional use, the M&P M2.0 delivers an entirely new platform, introducing innovative features in nearly every aspect of the pistol, including trigger, grip, frame, and finish. Highlights of the M&P M2.0 pistol include an extended stainless-steel chassis and a low barrel bore axis for reduced muzzle rise and faster aim recovery. The M&P M2.0 pistol further improves performance with a fine-tuned, crisper trigger, lighter pull and a tactile and audible reset. The pistol, available in three calibers, includes an aggressively-textured grip and four interchangeable palmswell inserts for optimal hand-fit and trigger reach. The striker-fire, semi-automatic polymer pistol is available in matte black or FDE – Flat Dark Earth – finishes, and includes two magazines, a limited lifetime warranty and a lifetime service policy. Displayed images are stock photos. Any questions please feel free to ask (our phone number is in the additional information tab above).